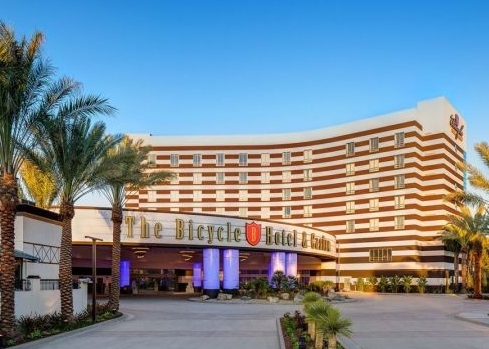 The Bicycle Hotel and Casino in Los Angeles, home to one of the US West Coast’s largest poker rooms, has reopened its doors following a federal raid targeting possible money-laundering activity. The Bike, as it’s popularly known, reopened at 3am PT on Wednesday following nearly a full day of activity, when a multi-agency raid interrupted hundreds of gaming customers, forcing their sudden exit from the Gardena-based facility. The Bike was closed for roughly 20 hours after federal agents entered the venue early Tuesday morning, conducting a search and seizure effort through which thousands of the casino’s financial documents were reportedly obtained. The precise alleged criminal activity and any alleged participants remain unspecified, due to the investigation remaining sealed under court order. What is generally known is that the search-and-seizure is in connection with allegations of “criminal fraud” and possible money-laundering activity. One focus of the investigation is whether the casino willfully assisted certain high-rolling customers in “washing” dirty money through the free exchange and cashing through of the casino’s chips. According to local LA reports, the amount of paperwork seized was large enough that investigators brought an armored truck to the casino to help transport the possible evidence. Officially, Tuesday’s raid was conducted by the Los Angeles High Intensity Financial Crime Area Task Force. That enforcement group includes agents from ICE, the Internal Revenue Service (IRS), the California Department of Justice (more specifically, the state DOJ’s Bureau of Gambling Control), and the U.S. Attorney’s Office for the Central District of California. State and federal agents have raided several California casinos and card clubs over the past couple of years, though the Bike is the largest such facility targeted to date. The Bike itself had a strong connection to laundered, dirty money in its earlier history, after federal investigators discovered in 1990 that $12 million of the original $22 million used to build the venue originated with a Florida-based drug smuggling ring. The forfeitures from the resultant case meant that for much of the ’90s, the US government actually owned part of the Bike, until its share was finally sold to a separate gaming company. 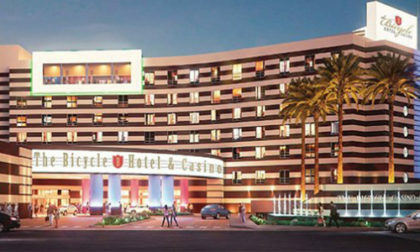 The Bike is also a fixture amid the California poker scene. In addition to dozens of cash-game tables and daily tourneys, the casino enjoys affiliations with and has hosted events for several tours, including both the World Series of Poker Circuit series and the World Poker Tour. The most recent WSOPC stop at the Bike ended only last Friday, and as with most such series, enjoyed solid attendance.